Are you looking for information about professional in home care Services? Do you require professional home care assistance to help manage a condition you are living with, as well as everyday activities? 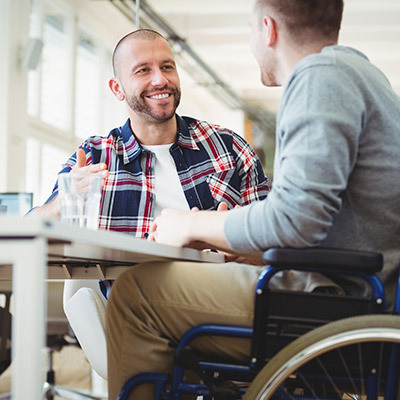 Beacon Support has several decades of experience delivering professional in home care services for a wide range of clients living with different conditions or disabilities. We will work with you to develop a care and support plan based on your specific needs. It will be customised to address the symptoms of the condition you are living with and your individual circumstances. Your plan can also incorporate support for completing everyday activities that you may be finding difficult to manage. We also offer respite care, short-term temporary relief for those who are caring for family members who are not able to care for themselves. The respite gives the carer some time for themselves and their families. The government does subsidise professional in home care services for eligible Australians. Those with a disability and under 65 should apply to the National Disability Insurance Scheme (NDIS) for assistance. People 65 or over can apply to the Aged Care Assessment Team to determine what care they need and what funding may be available. There are also other forms of funding available such as subsidies for veterans. If you’re not sure about what funding you can get for professional home care assistance, you can speak to us at Beacon Support. Our care and support services are guided by a consumer-driven approach to ensure you get the services you want and need. We will spend time with you understanding what your life goals are, as well as your care requirements. We’ll help you to balance your professional in home care services package with your budget and needs. Contact Beacon Support today for more information about professional in home care services we can provide to you.